We were travelling from London to return to our home in Haute Savoie and had broken our journey in Dijon staying at the Ibis Gare hotel. 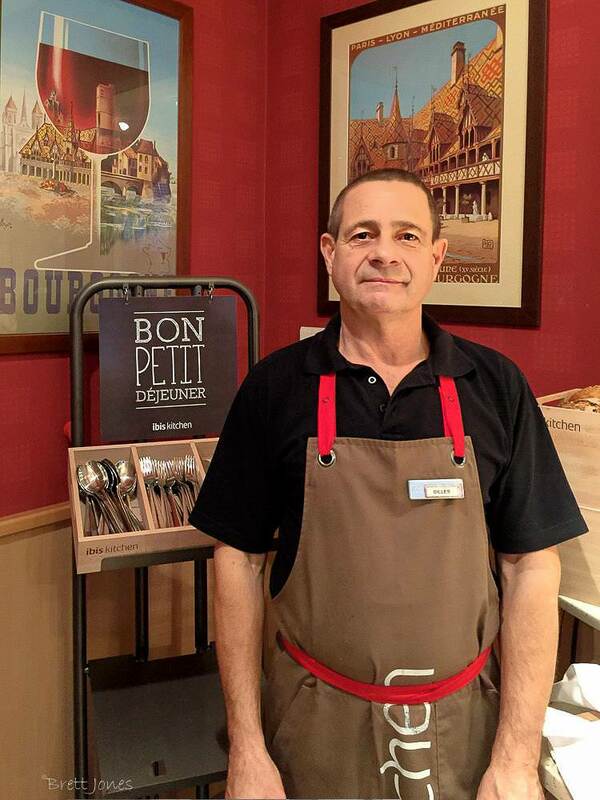 I remembered the breakfast waiter from my previous visit there the previous year; he greeted everyone with a cheery “Bonjour” on entering the attractive salle du petit déjeuner, a welcome that is rarely heard in many other hotels at this time of the day. However Gilles’ bonhomie will be missed as he told me that he was retiring that day, having worked for more than 25 years at the hotel. One hopes his replacement will be as welcoming. 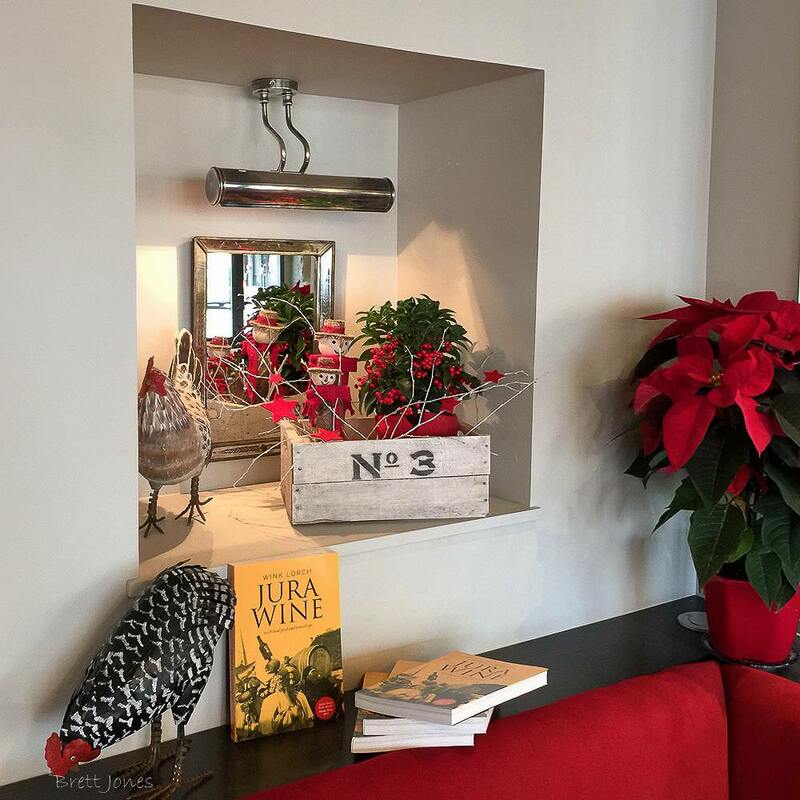 We continued our journey back to Chinaillon with a stop for lunch in the Jura, at the brand new Brasserie, Aux Docks, slap bang in the middle of Arbois. Since the late summer, following the success of her award-winning Jura Wine Book, Wink had been involved as a consultant for this exciting and big project. 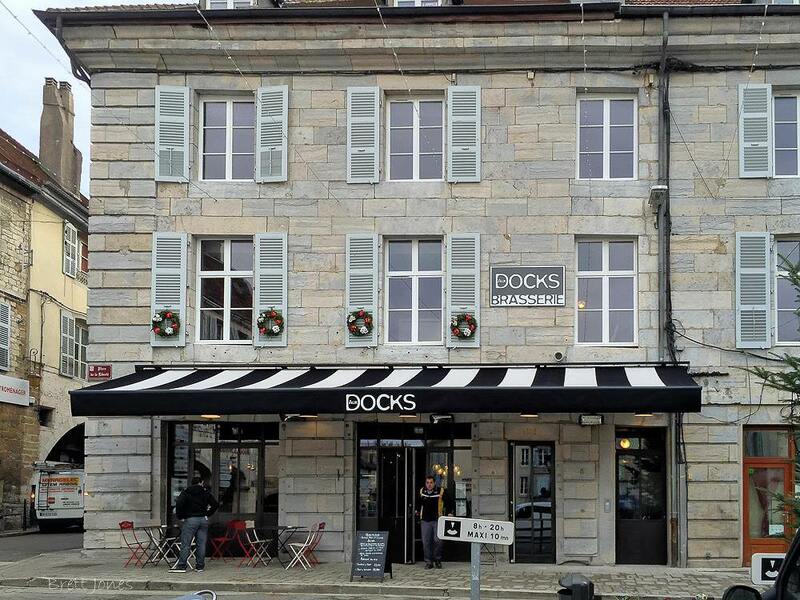 Isabelle Lassaygue and her daughter Camille have brought to fruition a brand new eating place in Arbois, the gastronomic centre of the Jura wine region, as a brasserie (erroneously automatically translated by Facebook as ‘brewery’!) offering a small, good menu with all the food prepared on the premises. After lunch we left Arbois to travel two and half hours to Montmélian in the next wine region, Savoie. 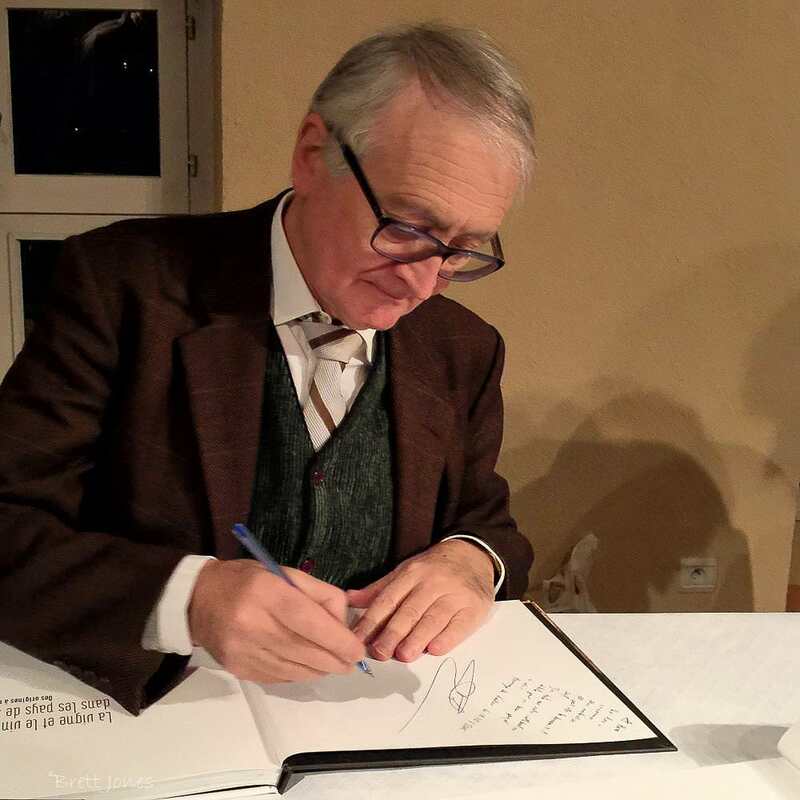 In the heart of this historic town just south of Chambery we attended another beginning at the regional wine museum – the launch of a new book La vigne et le vin dans les Pays de Savoie. 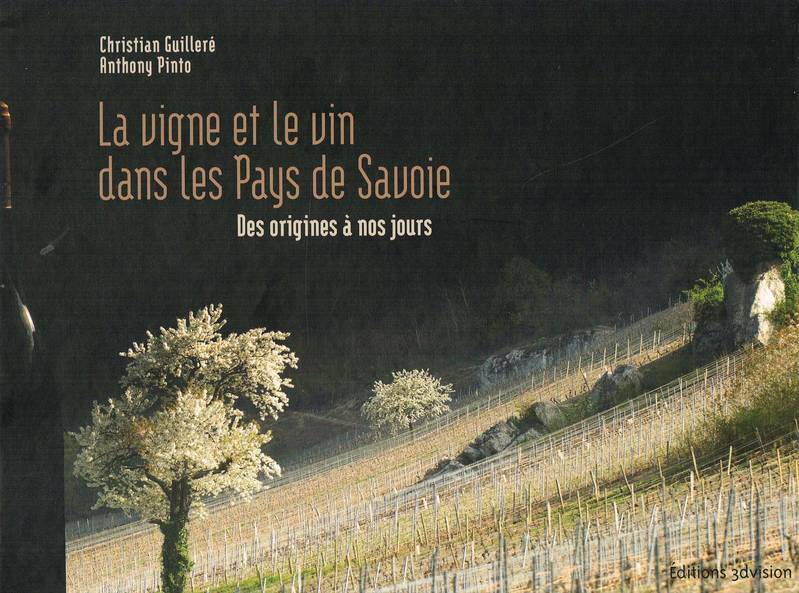 A work of scholarship, Christian Guilleré, Emeritus Professor of the University of Savoie Mont-Blanc, writes in depth about the history of wine in Savoie from Roman times to the present day. 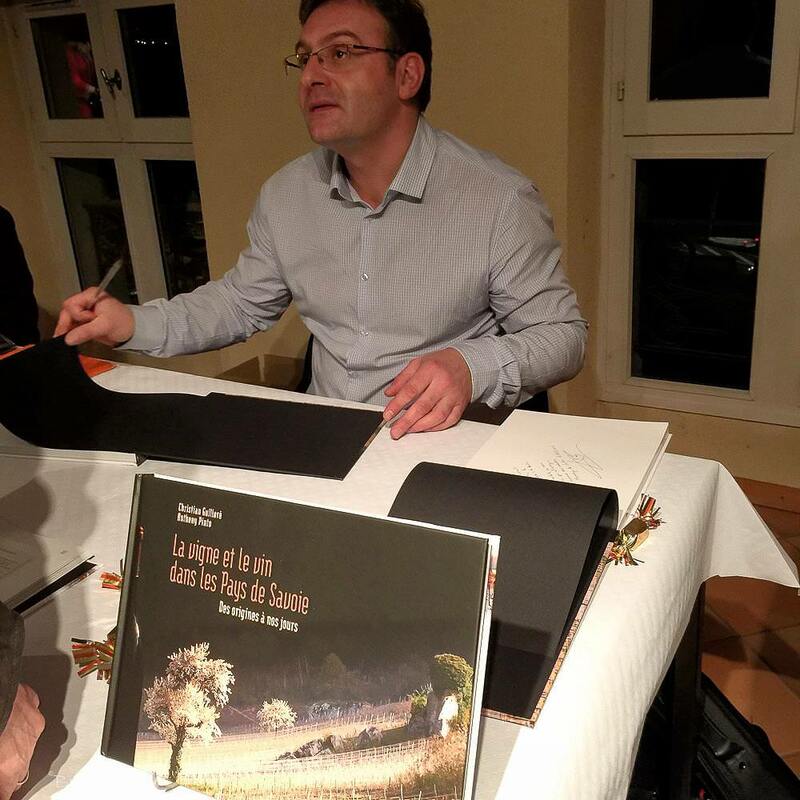 The other author, and publisher, Anthony Pinto, describes the geography and viticulture of this mountainous region of many parts as well as mentioning the involvement of several important vignerons. Well endowed with many good photos and fine illustrations, this well designed book is a delight to look at as well as to read, albeit in French. There were several Savoie wines to taste, one of which was another beginning, or should I say, a revival: a vin primeur (harvested just three months earlier), Bachelier-Gaultier Douce Noire. Attractively light and juicy it is made from Douce Noire, a regional grape variety which was banned locally in 1958 but re-established in 2008 following lobbying by a few local vignerons. We arrived back in Chinaillon later that evening, tired but pleased to have enjoyed this December day of endings and beginnings. 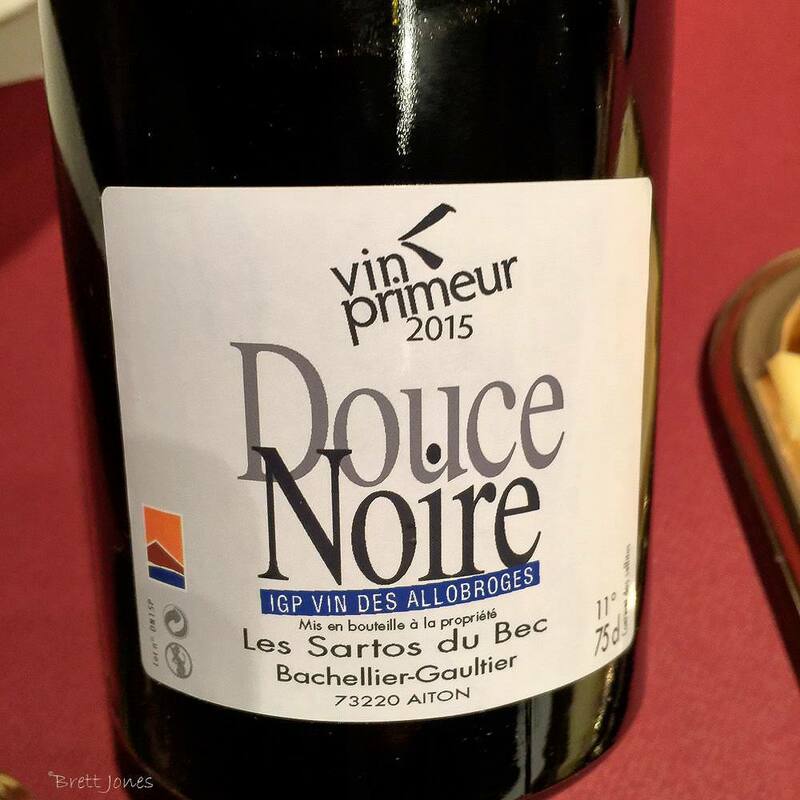 This entry was posted in Food, Restaurant, Travel, Wine, Wine Blog and tagged Arbois, Aux Docks, Bachelier-Gaultier, Douce Noire, Ibis, Jura, Jura Wine, La vigne et le vin dans les Pays de Savoie, Montmélian, Savoie, vin primeur by Brett, the Wine Maestro. Bookmark the permalink.